These hens have a totally white plummage and as they mature they grow a large red comb over the top of their heads. 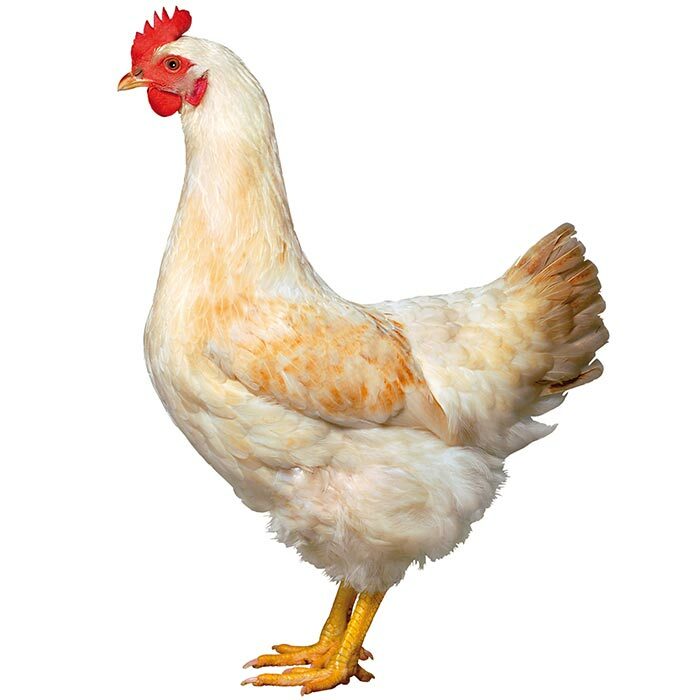 The temperament of White Leghorn is differe nt to that of the Rhode Island Red based hybrids, they’re often happy with their own company, and they are quite timid and flighty. This means that they a quite good fliers and fast across the ground. 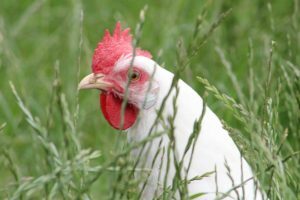 If you have a White Leghorn in your flock you will find that is always the one that settles up a tree or on the roof, and it is the one that is most difficult to catch. 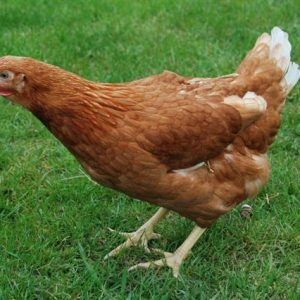 Because of this they don’t suit everyone and first time chicken keepers should give some thought to clipping their wings (we can do this for free when you buy your hens). 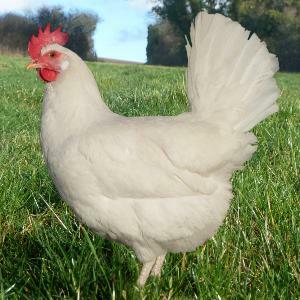 This is an excellent strain of Leghorn that can lay in excess of 320 pure white large eggs in its first year. It can be flighty at first but soon settles down. It is fully vaccinated t o mix with other hybrids. It will also last longer than commercial hybrids. 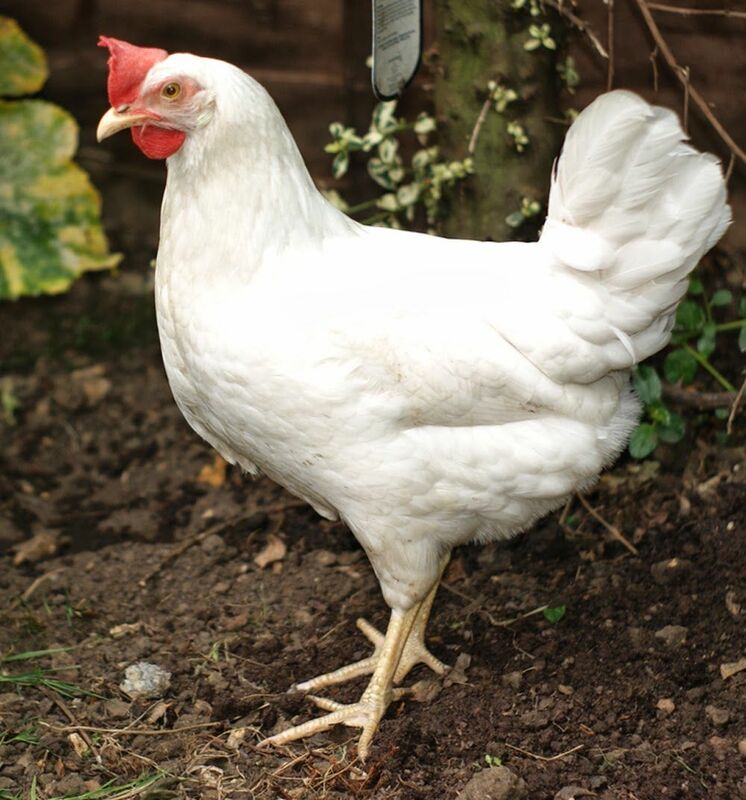 White Leghorn are a hybrid derived by crossing different strains of White Leghorns. In terms of egg numbers it’s the best layer of all the hens we sell and unlike the other hybrids it lays a white egg. 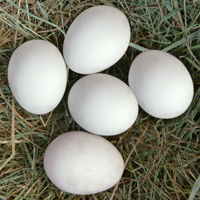 These are small initially but as the bird gets older the egg grow in size until it becomes a reliable layer of large (or even very large eggs) with strong shells. It’s also a relatively small chicken. A typical adult will weigh in the region of 1.7 to 1.9kg. This makes it very economical to keep, they will only eat about 115g of feed per day.